All photographs and their copyright remain the sole property of the photographer and may not be used or reproduced elsewhere without their express permission. Image copyright © Suzanne Buckles All Rights Reserved. Unauthorized copying or use is strictly prohibited. Member Ratings: photographyvoice.com users can rate this page or image. To create an account, click HERE. Not a member or not logged-in. Lovely image, Suzanne! Wonderful clarity and details! Big congratulations on your POTD! Look at those eyes!! Fantastic capture of this beautiful cat. Congrats on your win today, Suzanne. Congrats on a very cute image! 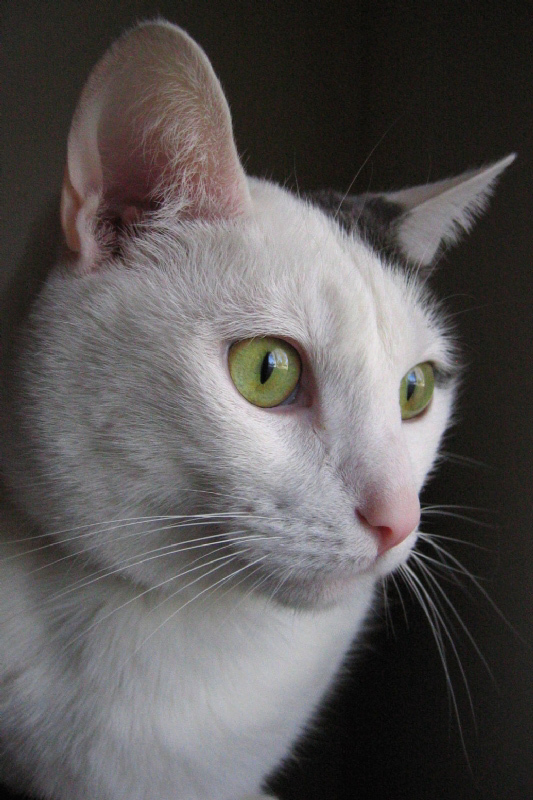 Wonderful clarity and pose of this beautiful cat with gorgeous eyes...congratulations on your POTD! Great job, Suzanne! Wonderful detail, and those eyes are amazing! Congrats!! Nice shot taken from a wonderful POV to accentuate the beautiful eyes of this cat. Congratulations, Suzanne! Beautiful image. Great pose, colors and composition. Congratulations on your POTD! Page generated in 00.0856 seconds.